A simple FTP-client program. 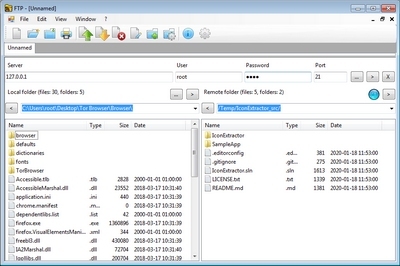 The program allows you to display and manipulate the contents on a FTP-server. It offers the possibility to upload and download files and complete folder structures as well as the renaming or deletion of files and folders. There is an alternative download at SourceForge.